Restore your vehicle back to it's prime - no matter when that was - with our factory and custom coil springs. The world's leading custom shops, companies, and hobbyists all use our springs for good reason: nobody can beat our design process, utilizing rare original blueprints to produce springs as close to the original as possible. Whether you're restoring that Camaro or building a custom, all original hot rod, we can help provide the springs you need to get cruising smooth and level. Your vehicle’s suspension was built to work with a specific coil spring and designed to sit your vehicle at a certain ride height. Every year we redesign thousands of coil springs to adjust the ride height, both up and down, to match what customers would like it to be. And we do this without sacrificing ride quality. Most applications can be raised or lowered a maximum of 3-inches. If you have a question regarding a custom coil spring design, feel free to contact us. We have thousands of blueprints for American vehicles manufactured over the past century, which is why we’re the number one coil spring manufacturer for the restoration, street-rodding, and resto-mod industries. Our springs will literally have your vehicle sitting like the first day off the lot, no matter what year that was. Request a quote for your restoration project, order springs from our online database, or give us a call to learn more about how we can help you restore your vehicle’s suspension. Improve your ride quality, stance, and handling with one purchase: coil springs designed to suit your vehicle. Automotive professionals and enthusiasts the world over swear by EATON springs for our commitment to quality and accuracy in our spring design and production process. Whether you need coil springs for restorations, resto-mods, hot rods, modern vehicles (like lowering springs for the Ford Crown Victoria), or even custom applications, we will provide springs that fit your needs. 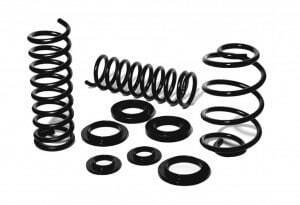 Your vehicle’s suspension was built to work with a specific spring and designed to sit your vehicle at a certain ride height. Every year we redesign thousands of springs to adjust the ride height, both up and down, to match what customers would like it to be. And we do this without sacrificing ride quality. Most applications can be raised or lowered a maximum of 3-inches. If you have a question regarding a custom leaf spring design, feel free to contact us. Shotpeened SAE 5160 Spring Steel gives our coil springs a smooth-as-silk ride quality that will last longer than competing manufacturers. If Your Springs Look Like These, Order New Ones IMMEDIATELY! 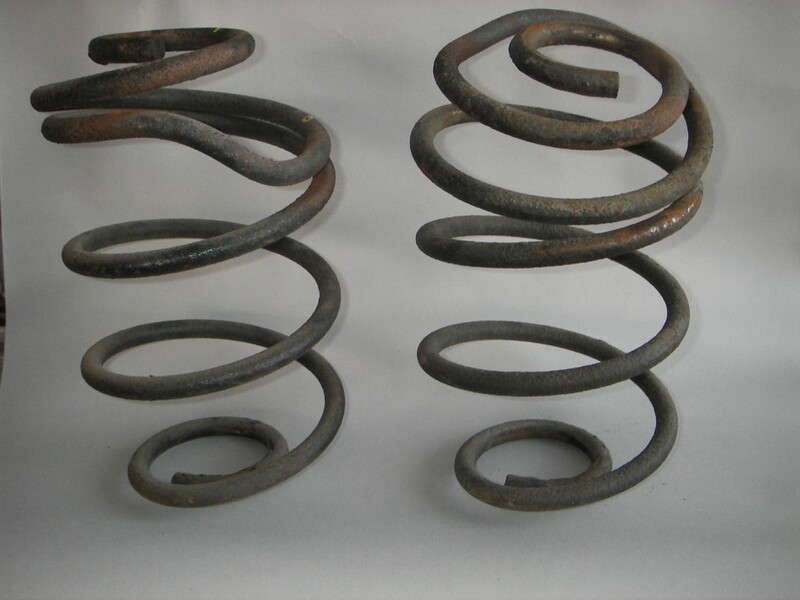 How Much Do New Coil Springs Settle? Do I Need New Coil Springs?